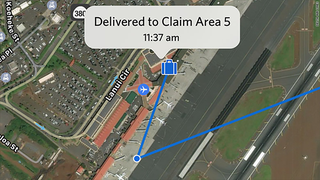 Delta invested $50 million in adding a luggage tracking feature to its app, CNN reports. The airline has currently rolled this program out in 84 cities nationwide, meaning you can now watch your luggage get left behind in real time. “From the moment our customers drop off their bag, we want them to know we’re looking out for it every step of the way and working to take the stress out of flying, one innovation at a time,” Delta senior vice president Bill Lentsch said in a statement. Checked bags will get a Radio Frequency Identification (RFID) tag that allows it to be tracked in real-time using radio waves. Scanners along the journey will track a bag’s movement, and then send the location information to the passenger’s app. The future feels bleak at times, like things are getting worse. Really, things have always been bad; war and injustice and hatred is perennial, and the past was far worse than the present. The internet simply gives us the resources to see all the badness around us. There’s more information available, news spreads fast, communication is too convenient. We become acutely aware of so much badness the instant it happens. Anyways that’s what I imagine I’d be theoretically thinking about if my flight took off, and I got to watch my luggage get left behind, soaring into the abyss.